If you like metal plumbers pipe, casters on tables, or barn doors in the home, then you most definitely like the industrial style of home decorating. There are so many other ways to decorate in this appealing style. I’m going to show you how you can incorporate things like rusty metal and salvaged wood with these rustic industrial decor ideas. 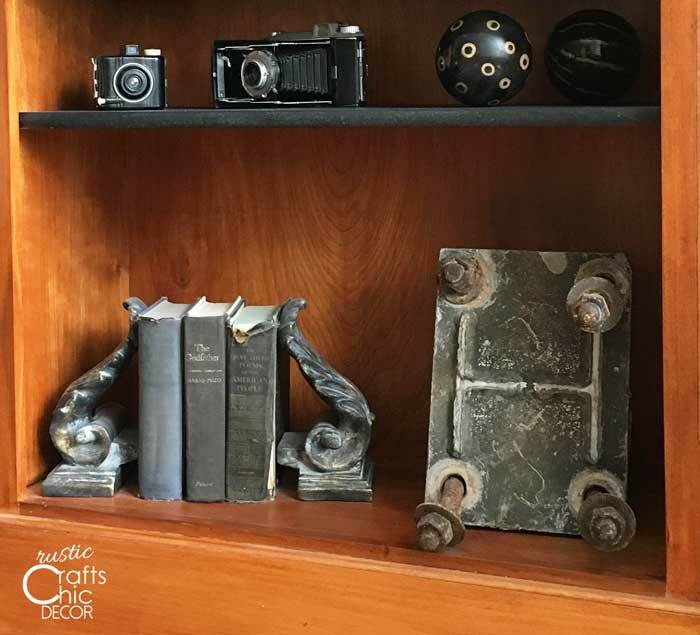 This salvaged metal piece looks like a monogrammed H. Since our last name begins with H, it seemed appropriate to display it as a funky monogram. Who would have thought that an old footing form, used in construction, would ever be displayed as art in the home? 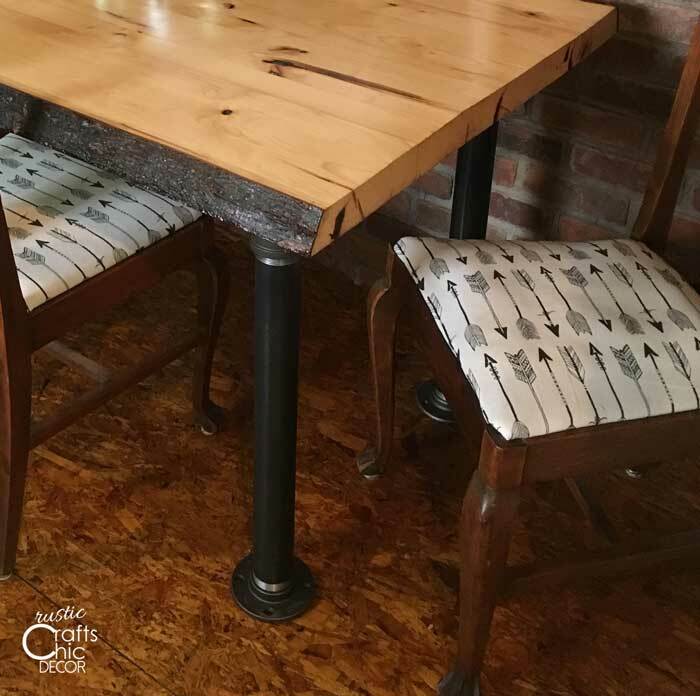 See more ways to decorate with architectural salvage. Since plumbers pipe comes in so many different sizes, it’s easy to find some to work as table legs. This was the perfect industrial touch to our rustic table. There are so many other things that you can make with plumbers pipe for home decor. Check out these other rustic crafts using plumbers pipe. This rustic industrial office space is so warm and inviting. I love the tractor seat stool along with all that salvaged wood on the wall. The room is just full of rustic goodness! 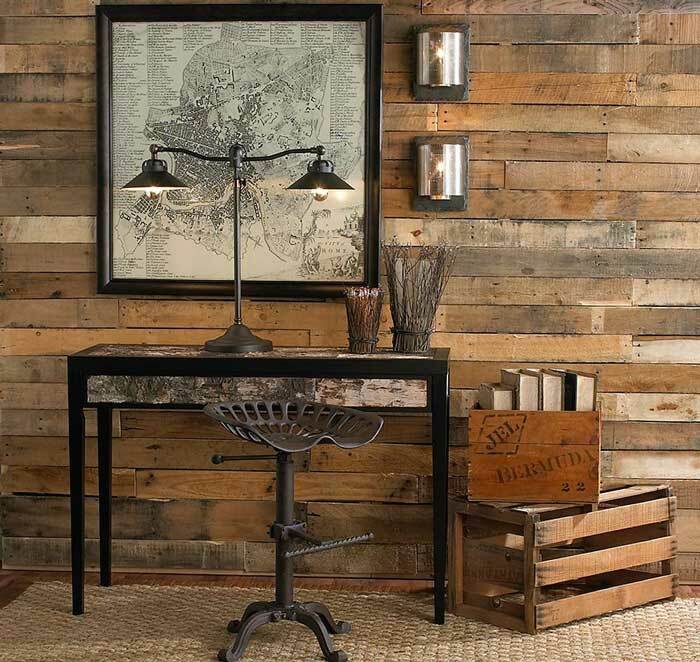 Combining things like warm wood and cool metals helps to create a rustic industrial style. Since the kitchen is the heart of the home, it should be warm and inviting. 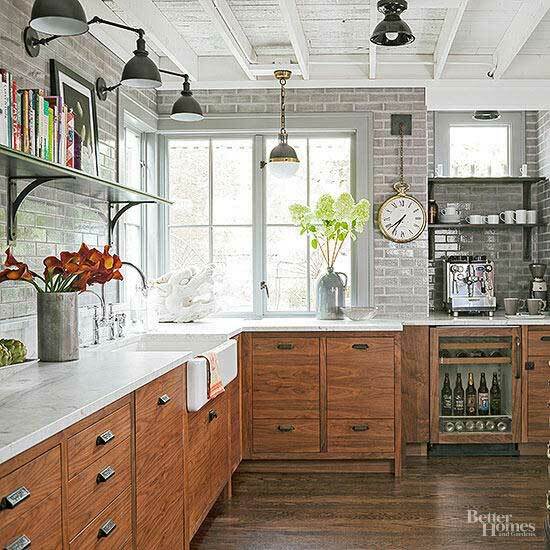 For more industrial kitchen ideas, check out these industrial chic kitchens. 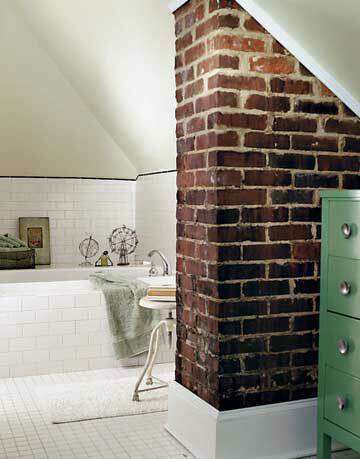 Warm brick and small white tiles are a perfect combination to create a rustic industrial style. Other ideas for a bathroom are concrete sinks and vintage lighting.